Famous all over the world as the mythical island of Odysseus, Ithaca charms visitors with the laid-back island, the blue green water and the lush greenery. Swim in the crystal water, walk along trekking paths, have your meal in fish taverns and chat with the welcoming locals. In the day, enjoy the hot sun and the clean water, while in the evenings stroll along the beach promenade of Vathy and have a relaxing drink with a view to the night sky. Filiatro, Sarakiniko and Agios Ioannis are amazing beaches of Ithaca island, while you will find many other secluded coves to swim. Vathy is the main harbour in Ithaca and has wide range or shops, bars and restaurants along the waters edge. As with the rest of Ithaca it is very laid back and - even at the height of summer - never feels overwhelmed by tourists. It has two lovely Museums. The Archeological Museum, which is our closest neighbour, has a large collection ancient ceramics form the island. Further along the waterfront is the wonderful Maritime and Folklore Museum - which has an eclectic collection of artefacts from the island and it's maritime culture. Apart from the wide range of tavernas and bars, there are some lovely cloths, jewellery and gift shops. Other activities there is a Diving and sea kayaking Centre, Boat hire 5 minutes from the house, with up 90 beaches and secluded coves to be visited. There are boats that leave from Vathy throughout the day to drop you off and pick you up from some of the more secluded beaches. 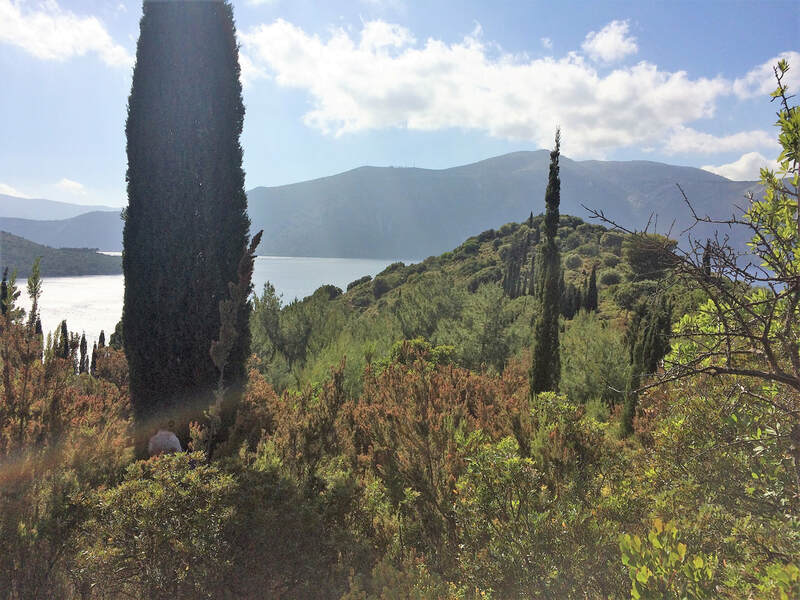 There a number of very knowledgeable english speaking guides, who are happy to take you on customised walking tours, from nature walks to see wild orchids and wildflowers in spring, too homeric trecks taking in the many archaeological sites. 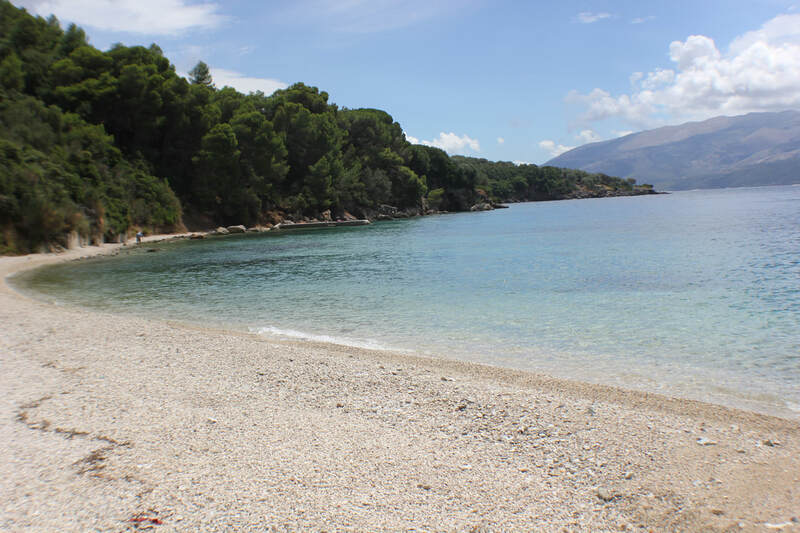 Like Ithaki itself, beaches on Ithaki all have a very natural feel and are not commercialised or that touristy. They are all very picturesque, comprise mostly of smooth stones rather than sand, and all share the same lovely warm water – with lots of fish to see! Whilst you can get to many beaches by car, some of them are reachable only by boat. 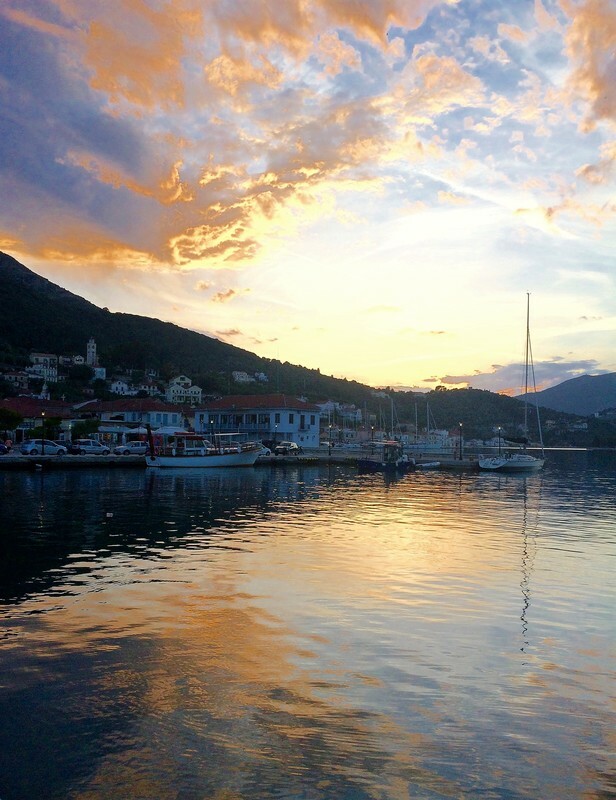 You can hire a range of boats, or you can get the regular boat service from the main square. This operates a regular drop off/collection of people from all the beaches near Vathy. Filiatro beach – 3km away this is the nearest beach and the most popular one near Vathy. It’s very picturesque, lovely to swim in and is ideal for small children. There is a café that sells food and snacks and you can hire sun loungers. You can walk it in about 20 minutes but it is advisable in the summer to drive or get a taxi. Parking is free. Gidaki - is an attractive but very isolated beach. You can hike to it through the pine forest (not for push chairs) from Vathy or you can go by boat. It has a café (highly recommended) and is very beautiful. Note due to its location it gets enveloped in shade after about 4.30pm so go before then. There are free sun loungers for your use. Dexa beach is only 2 km from Vathy back towards the ferry port. The beach offers natural shaded areas for relaxing sunbathing and is known for its blue and transparent waters ideal for both swimming and diving. On the beach is a row of olive trees that provide shade. It is one of the best swimming spots close to the town. There is a bar that sells snacks and cold drinks. According to The Odyssey, Dexa is the site where Odysseus stopped after returning to Ithaca from the Trojan War. Ithaca or ‘Little Kefalonia’ is in Western Greece very near Kefalonia. 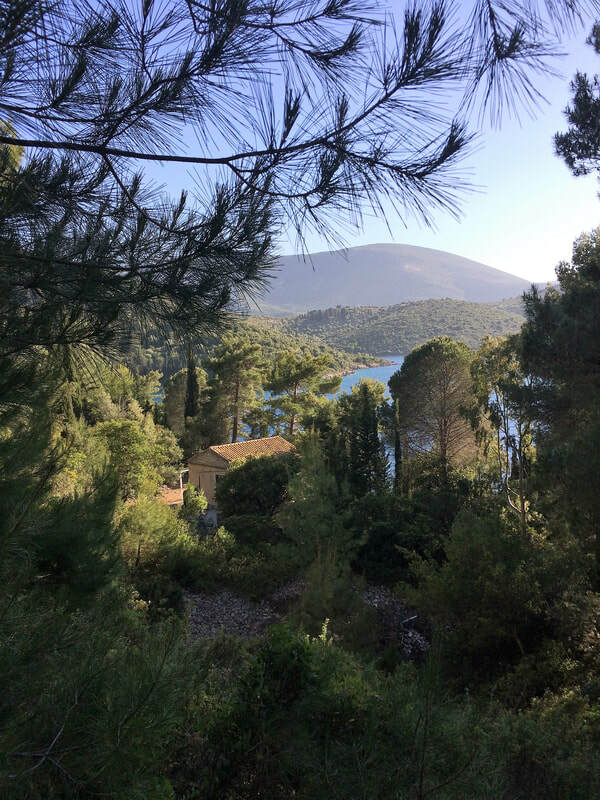 Flights go from UK direct to Kefalonia, with a flight time of 3 hours. Ithaca is a 20 minute ferry from Kefalonia. Ferries go regularly from Sami in Kefalonia to Ithaca throughout the year. At Kefalonia airport you can either hire a car and take it across to Vathy or get a taxi to Sami and then the ferry. You don’t need to have a car in Ithaca, but it is useful for exploring the island. For peak season it is worth booking car in advance; either at the airport or on Ithaca. 10 minute drive from Pisaeotos (name of the small ferry port on Ithaca) to Vathy and the house, which is very easy to find.